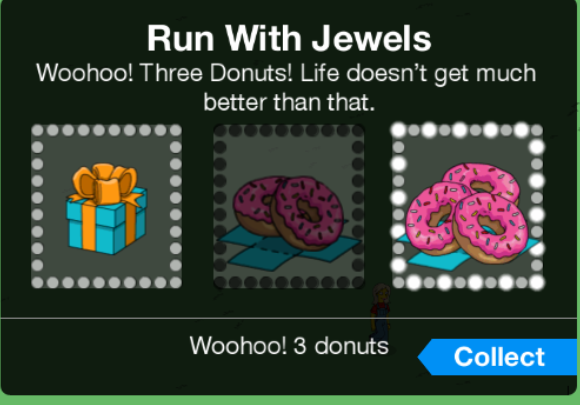 ← Springfield Jobs- Act II Calendar and Math for Getting It All! Now let’s work our way through the heisting of the Act 2 questline…. And yes, once you’ve finished the questline there are bonuts to earn…. What are your initial thoughts on Act 2 of the Springfield Job? Thoughts on the dialogue so far? Prizes? Any items you’ve purchased? Sound off in the comments below, you know we love hearing from you! 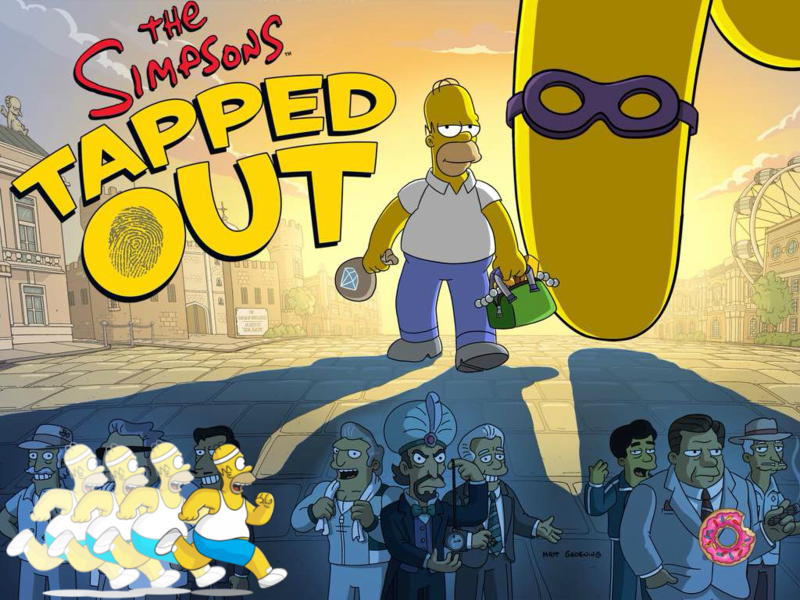 This entry was posted in Tapped Out, Tips and Tricks, Updates and tagged how do i do heists, How do I earn jewels, how do I earn more event currency Springfield job, how do i unlock crafting springfield job, How do i unlock neighbor actions in Springfield Job, Springfield Jobs act 2 questline, Tapped Out Tips and Tricks, The Simpsons Tapped Out, TSTO Addicts, TSTO Around the World 2, TSTO Heist Event, TSTO Springfield Job Event, TSTO Tips and Tricks. Bookmark the permalink. So dumb question: What are people’s best tricks to finding thieves in their town? Do you just scroll and scroll and scroll until you find them? this event doesnt bother me that its slow, i couldnt do it if it was fast. Thank you! Exactly the info I was looking for. You are welcome Javve! I now see there is a proper “Should I buy” post about this bundle – but for me it was an instant pickup on both my games that didn’t disappoint! I had a bit of a teary moment today with the placement of St Paul’s cathedral. It’s 24 hrs task says “Surviving the blitz” My grandfather was a London firefighter – (on the docks the night St Pauls went up as they were aflame like most of London that night) & my Dad a schoolchild aged 8 @ that time & @ home with my grandmother in the grandpa built back yard bomb shelter. They emerged after the “All Clear” siren to find most homes in their street destroyed; & theirs damaged but intact. It was the end of the day before they knew that my Grandfather had survived. Burned; Sooty; Wet & Weary he came home to his wife & only child. Only to go out again without sleep for the next raid. He was a mechanic in real life; A volunteer firefighter due to not having to go to war as they needed mechanics in London. Anyway; The blitz never got either of them; But both succumbed to cancer quicker than any incendiary bomb takes hold. Hence the tears! My Dad said in the hospital; Bloody Hitler didn’t get me with his doodlebugs & bombs – But this is a fight I can’t win! BTW a doodlebug was the term Londoners used for the unmanned rockets that buzzed as they went over. When the sound stopped the drone bomb dropped. Oh, Karon, what an amazing story! Our parent’s and grandparent’s memories of WWII put a chill down my spine. My father-in-law survived his ship being torpedoed in the S Pacific, and he wouldn’t talk about his nightmarish experiences for another 50 years, then I think he realized it was time. He was diagnosed with Alzheimers soon after. Cancer might have been kinder. Thank You Lori B from Portland Oregon. I’m crying again! I am Karon D from Melbourne Australia. 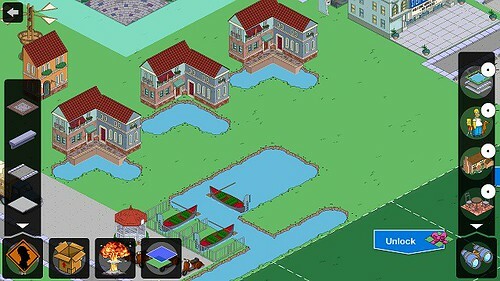 Maybe you could neighbour me on TSTO? I’m DexterousOne & DexterousTwo. My old ipad cannot friend request but can accept requests. It is so sad all the great stories & anecdotes that are lost with the passing of the older generations. I’m heading towards age 60 on a fast train to nowhere. Maybe it’s time some kind journalist helped oldies write down these things that matter? As you mentioned; Some don’t want to talk – My other Grandfather was a paratrooper @ Remagen in WWII. Landed on a land mine upon landing (blowing up both feet & shrapnel throughout his body) & cared for by the Dutch resistance until they became overrun or infiltrated. Ended up as a POW in Germany & never spoke about that experience. random question… i want a nice town. is there any way at all to make el chemistri look non-bland, or am i better off just storing it? El Chemistri has a great animation; the doors open and close and the windows light up in cool colors. If you have Jay (he was a limited release character from 2016) he has a 12 hour task there – Taste Test Tube Tahini Tofu.” But Wise Guy could animate it too. Alissa’s screenshot, Asia de Cuba is next to El Chemistri. It looks very cool animated – the whole building is lighted up in a warm yellow tone. Legs and Louie each have a 3 hour task there – Conduct Private Business in Public. Working on my design. I have placed several Grand Canal Bldgs along water and have a nice Sea Wall. But I’m having trouble with Bldg 5. I’ve placed it once and achieved the sea wall. The second time, I can’t get it to work. There is a ‘trick’, I’m to dullard to figure it out. Well, I got it to work. The Grand Canal Number 5 buildings can sometimes be difficult to place if you want the seawalls to appear. First of all, you need to carefully line up your building along two different river edges. Secondly, this can be especially tricky because Grand Canal Number 5 buildings are the only ones which can also be placed partially or completely on river water, which makes it easy to overshoot the river banks. You can use the crafted items from Act 1 for Act 3, simple move some to the Tower of Springfield. Leave 20? In Museum of Superfine Arts and the rest to the Tower to upgrade to 20?. Maybe unrelated but a PLEA to EA!!!! Please, please, please increase our game capacity. I can’t play anymore because I have reached the building limit. I love to landscape, I love the flowers and trees… but I can’t design the way I like when I keep getting messages telling me I’ve reached my limit. I beg of you EA, PLEASE fix this. Pretty please. With donuts. And sprinkles on top?!! The game certainly does not favor those of us who like to be creative and design. If I were dropping and plopping, I would be OK… but I love lots of 🌲 🌳 and 🌺 🌸. I’m certainly not going to ugly up my town by cutting down my forests. I think I’m going to picket EA with a “Save the Virtual Tree” sign. It’s all so frustrating because I’m trying to build up my XP multipliers, but have had to store a lot of them.. so my percentage has gone down. I’ve also had to pare down my house farm (I’m always short on cash) and store lots of buildings… yet I still have plenty of land available. It’s become very discouraging. There’s so much more I want to do to my town but I can’t. I’m at the absolute building limit.. It won’t let me add anything more. EA HEAR OUR PLEA!!! Please increase our building limits!!!! And Ebron, no worries about sending crooks.. they’re few and far between for me too. A reply for ebron & tippie- I’m @ the limit too on an old ipad that only has TSTO; a word find game; & a thing called fruit pop – Yet still I get the messages on what is a fairly empty device. What I’m trying to say is the fault must be with EA; As there’s really nothing taking up memory space on my ipad. Only other thing is 1 photo on the opening page. I still get lags; Mostly when going to friends towns that have flying things or monorail enabled. Also a shout out to my neighbours; Like ebron I’m not getting any bandit masks in both my games. Apologies from Dexterous One & Two! I’m leaving the few I get for those who leave them for me; But the drop is just not happening for either of my towns! So sorry! If you are having trouble unlocking act 2 craftables, be sure you actually finished the Act 1 questline. Being able to collect bonuts in Act 1 doesn’t mean you finished the questline…double check that the Act 1 icon is no longer showing in the task list on the left. Absolutely loving this event. It’s the first one I’ve been able to commit to fully for a while now as my life has been a bit chaotic lately. I think Westminster Abbey might just be the most beautiful building they’ve ever added to the game, can’t beat a bit of Gothic architecture! i finished the first act. then placed the red and blue phone booth and the guard. now all of the 2nd act crafting is locked. I also got notifications on finishing the old pie man quest. anyone else having these issues? So I contacted EA…They said the couldn’t find anything wrong…any suggestions? What can I do? Wait for an update? I’m seeing others are having a similar issue…what did EA tell you to do? Same problem here in the UK. Money mountain gone. Current quest locked and old quests back. Tap radius reduced .. Not good EA. Ack!!! What happened??? My game suddenly thinks it’s 2016 again! I got a bunch of old quests back in my lineup, my tap radius has shrunk, my junk yard says I’ve gotten all my prizes for the week, and I’m getting Friendship points??? What on earth? I uninstalled and reinstalled the game, turned phone off and back on, even logged into other tsto games on the same device (which were all unaffected), but this account is still messed up. Is this happening to any other Android users? Exactly the same problem here, also my burns money mountain is fully shrinked. Radius minimal and lisa’s big tree is gone…it happend by the last big update. could i get the glitch if i didnt play in 2016? if not… HA! EA you thought you could make me have next to nothing? Jokes on you… I ALREADY have next to nothing! I personally like this event, because I love British stuff. I am an American but lived in England & Wales for 2 years back in the 90s. it is not a hard event. It is certainly not a fast paced event. But I log in an average of 3-4 times a day normally to farm, so not much more to just assign some criminal activities in my town. Besides the loads of free….and premium…. (really cool) buildings and characters I like events where we can drop stuff in neighbor’s towns for us to find (though I would personally recommend 12 hrs to find the creeping thieves instead of only 4 hrs). Yesterday I bought for 40 precious hard earned farmed bonuts, the cobblestone road. This morning it appears as a new free item in the store! Is it a new freebie for everyone? Or is it free now because I paid for it?!? Can anyone who does not already have the cobblestone road tell me if they have it for free in their store today please? Alissa, maybe you can clarify this for me. hey, ebron? any advice for town design? what can i do with el chemistri? its just so… bland. Also, what do you recommend purchasing for donuts when i can? is there one building that just sticks out? I’ll go visit your town (since I don’t know what you already have) and post an answer about favorite buildings for you in the Sunday Thread. My El Chemistri has not been frou-froued (I guess that’s a word?) much…the simplicity of the building seems to call for an understated elegance vibe. (Hows’s that for a pretentious uber-designer answer!?) Anyway, drop by my SH and take a look…it may be too simple for what your looking for, but who knows..
Once you purchase this item it unlocks for free in your store. My thoughts on act 2? Do you really want to know, Alissa? OK. Here we go. Get ready for the rant. I could go on and on. You haven’t heard the last of me. Where to begin? How much time do you have? I’ve lost my train of thought. Where was I? Oh yea. I remember. I was going to drone on and on about my thoughts about act 2. Are you getting the picture yet? I can sum things up in a few words. I’m sure you’re waiting in anticipation. Buckle up. Here it comes. THIS EVENT IS FREAKIN’ BORING!!!!!!!!!!!!!!!!!!!!!!!!!!!!!!!!!!!!!!! OK. I’m done with my rant. Please return to your regularly scheduled program. Act two crafting is still locked for me although everything else is working. Can anyone suggest a fix? Did you start the act 2 questline? If not did you finish the act 1 questline? If you didnt, finish the act 1 questline then you should trigger the act 2 questline. Which should trigger the crafting to unlock. EA should roll back your game for you as I’ve had this problem too. Make sure to tell them if you have bought any donuts with screenshot evidence though so they can re-imburse you.